This week on the Secret Library, librarian Antony Ramm takes a look at a lesser-known map collection in the Central Library collections. There was certainly interest – at the time of writing the earlier piece – in identifying the exact location of Union Court, but such an explanation would have made an already lengthy article much less digestible. But the story is worth repeating, for no other reason than to highlight a particularly useful resource, one that was used to pinpoint Union Court. Attention then turned to the most detailed map series available for the early and mid-19th-century: the 5ft to 1 mile Township Plan for c.1850. However, as detailed as that series is, Union Court could not be seen among the many yards and courts sprouting off Briggate itself. 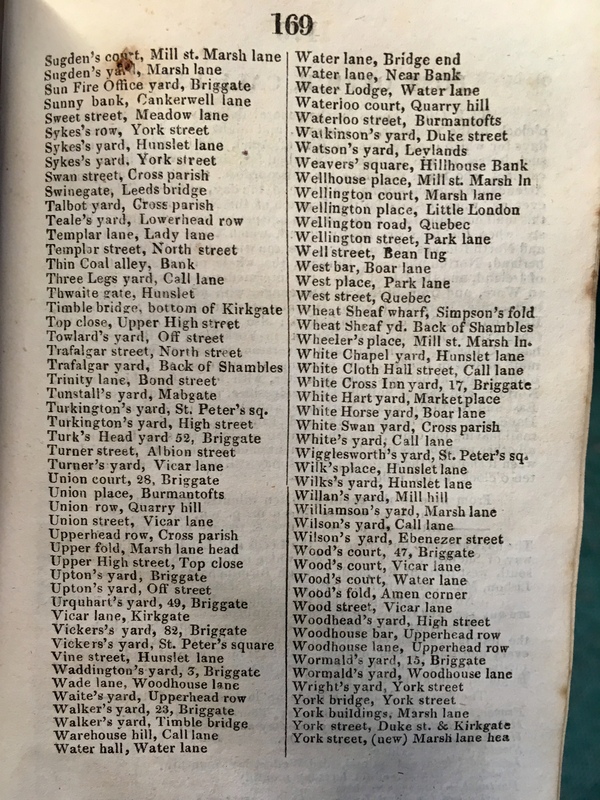 And, while the 1817 directory gives (as can be seen above) a building number for the junction of Union Court with Briggate, there are no building numbers given on the 1850 map series. 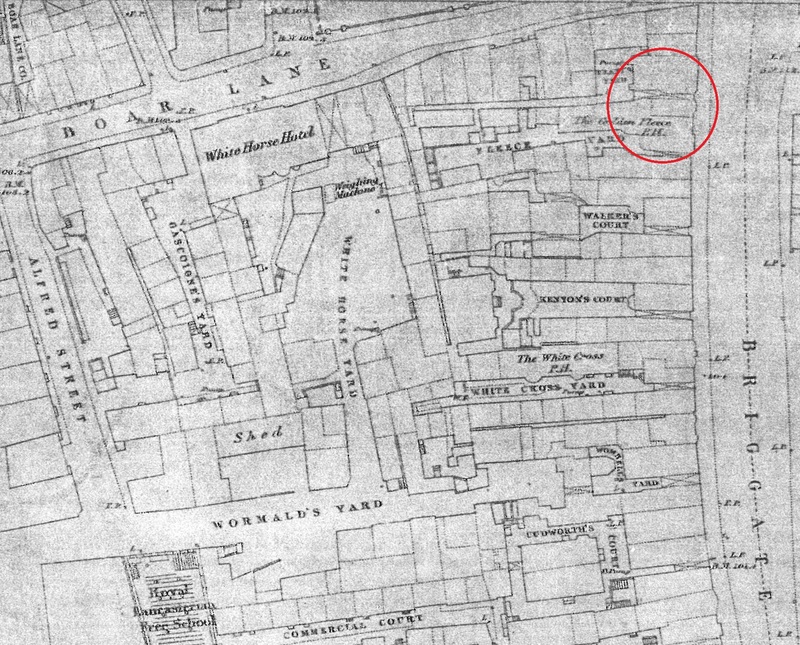 That left only a speculative search through the department’s map collection, in search of a plan or map that might help narrow down the likely location of Union Court. 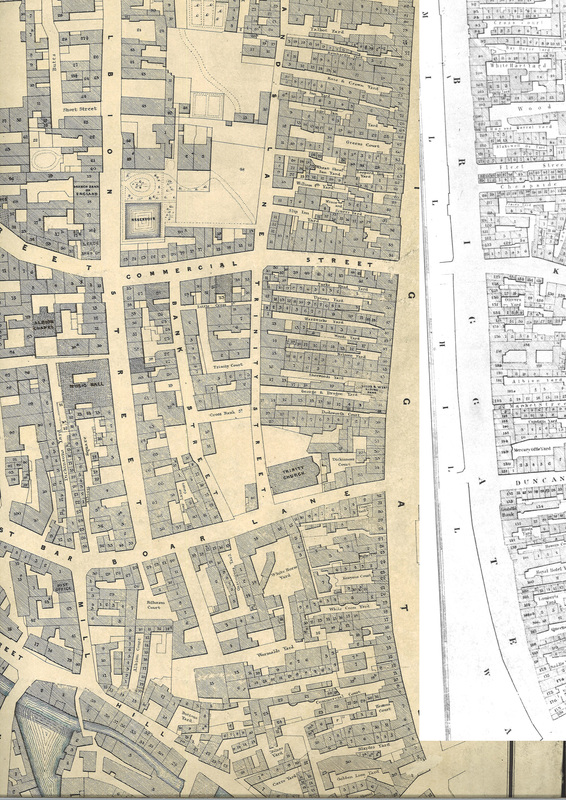 And – wonderfully – such a map was indeed found; in fact, two maps were identified – 1844 Ward maps, both created by J.F. Masser (himself an interesting character, and the publisher of several images in our 19th-century Political Cartoons collection), covering the Mill Hill and Kirkgate wards, which together include either side of Briggate. There are two points to all this: first, the reclamation of a specific site – Union Court – of importance in the history of Leeds radical politics; a location that warrants further research. 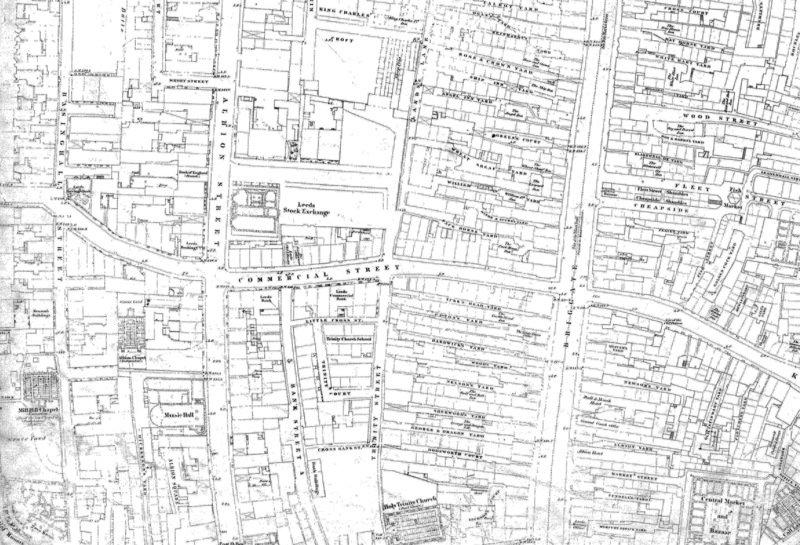 Second – and probably of most interest to a general audience of local and family historians – is the existence of very detailed and very usable maps outside the Ordnance Survey series, and in particular for those periods lacking in detailed OS plans: the pre-1850s and c.1850-1890. While these non-OS maps are hardly unknown to most researchers, the extent of the information available on some – i.e. 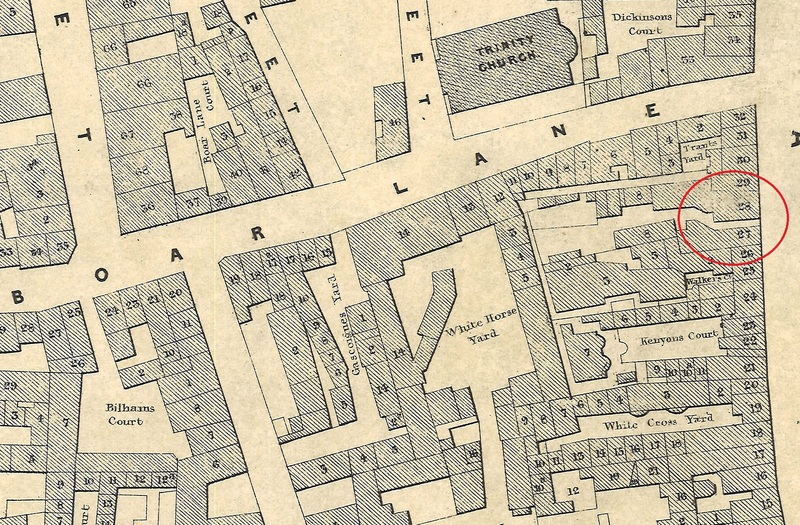 the building numbers on the 1844 Ward Maps – may well come as a surprise, helping to fill gaps, resolve unanswered questions; and perhaps even spark new avenues of exploration. 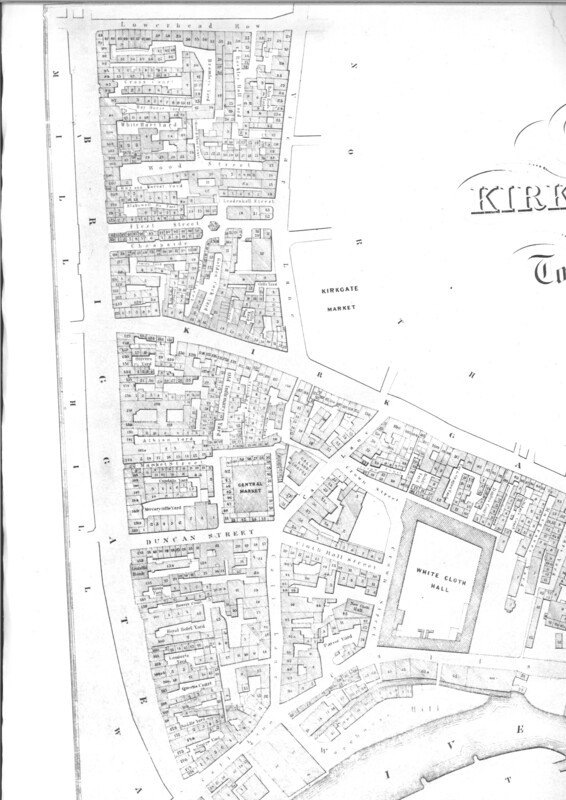 To view any maps referred to in this article, please visit the Local and Family History department – details of our opening times and location can be found on the library website . You can also call us on 0113 37 86982 or e-mail us at localandfamilyhistory@leeds.gov.uk. 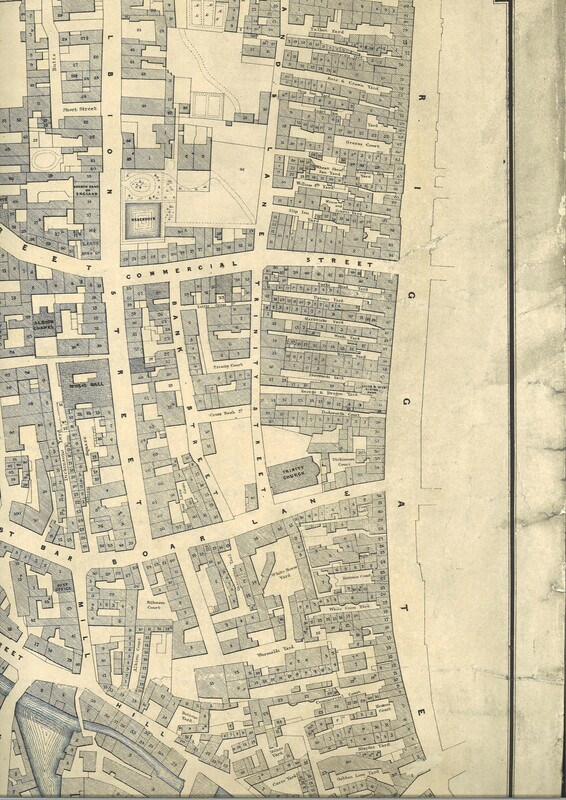 A full guide to our map collection is available elsewhere on this blog. Previous Post Library Fest 2018 is here!